The founder of the company which runs the national procurement portal for Wales presented two prizes at the 2014 Welsh National Procurement Awards in Cardiff. Tim Williams, managing director of electronic tendering provider Millstream, attended the awards ceremony on Friday (March 21), which marked the end of Procurement Week. Procurement Week is an annual event staged by Bangor University’s Institute for Competition and Procurement Studies (ICPS) to share knowledge about the latest procurement innovation strategies, law and policies from around the world. Millstream runs Wales’ national e-procurement database, Sell2Wales – which handles tenders worth around £4.3billion annually – and the Scottish equivalent, Public Contracts Scotland. Held at Cardiff’s City Hall, the awards ceremony aimed to recognise leadership, excellence and experience in procurement and tendering, while celebrating the achievements of buyers and suppliers who continue to perform and drive innovation linked to public procurement. Millstream sponsored two awards – the Community Benefits Award, which celebrates how public procurement can impact positively on a range of areas, and Wales’ Public Procurement Ambassador Award, which acknowledges an outstanding contribution to advocating Welsh public procurement to a national and international audience. The Ambassador Award was won by Vince Hanly, Service Director for Procurement, Rhondda Cynon Taf CBC, while the Community Benefits Award went to the City and County of Swansea’s Beyond Bricks and Mortar project, which involves putting social benefit clauses into contracts and working with construction contractors to provide training and job opportunities for target groups. Around 400 delegates from all over Europe attended a wide range of Procurement Week events throughout the week and Tim also gave a speech on innovation, sharing the lessons Millstream has learned. He said: “As the only company providing national public procurement websites for several European member states, we have been able to share experience we gained in Ireland, Norway and Scotland to deliver an effective and user-friendly service for the Welsh Government. “I was pleased to present the well deserved awards and attend Procurement Week to talk about Sell2Wales and Public Contracts Scotland, as well as looking at the innovations we have planned for the websites to make them even more powerful and simpler to use. As well as operating procurement portals for national governments, Millstream runs the Tenders Direct website, which provides private companies with comprehensive information on new business opportunities from the public sector, such as the government, local authorities, emergency services, NHS trusts and the armed forces. It also runs myTenders, a tender publication and management service used by more than 700 public organisations in the UK to submit fully compliant contract notices to the OJEU and Contracts Finder, as well as publicising them on the organisation’s own website. It recently launched myTenders Norge, the Norwegian version of the service. 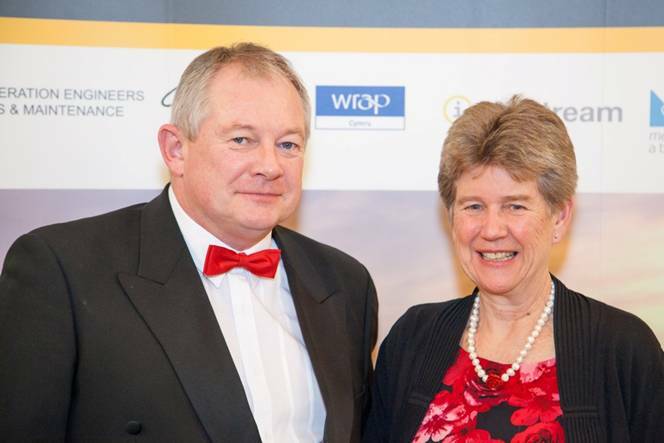 · Tim is pictured with the Welsh Minister for Finance, Jane Hutt AM. The new EU Directives on Public Procurement have been published!